Amsterdam was a pleasant surprise. 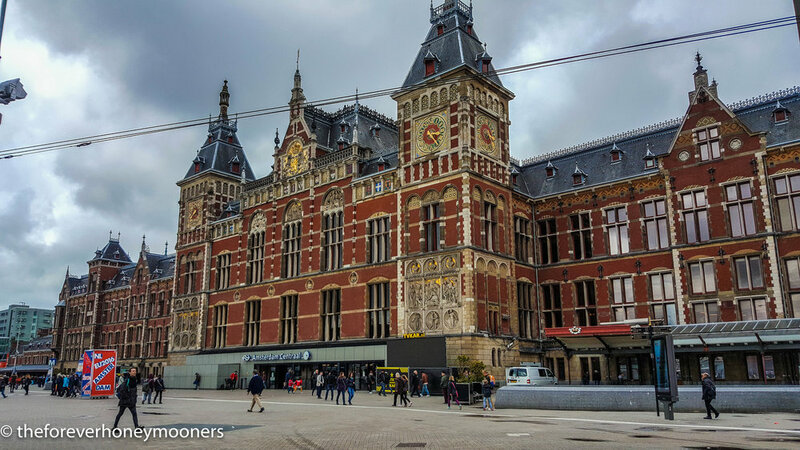 When I first learned that we were going to Amsterdam, I knew very little about the city other than weed, the red light district, and, that it was an ideal transit point in Europe. What kept me interested was the fact that I will be going to the Anne Frank House. We arrived early on April 27, 2016, King's Day. It was unexpectedly freezing for spring with the temperature dropping to 1C early in the afternoon. 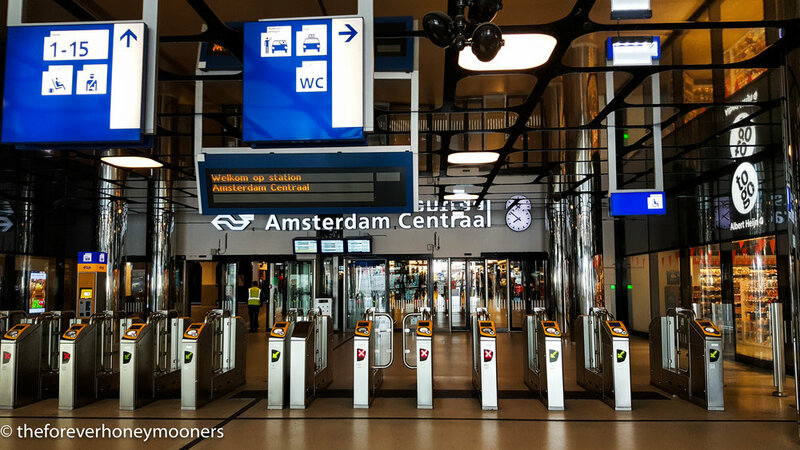 From the airport where we left our bags, we went straight to Centraal. We were warned of a large crowd that day due to the festivities and city streets are closed for public transport. In short, we had to walk to any place we want to go to. Being short-limbed people not used to walking for more than five minutes, we started our hike early to allow for time to rest. This day was making sure we get to visit the "must sees" in our list and strike it out. Among them are 1) Van Gogh Museum (17 euros) and 2) Rijksmuseum (17.50 euros). I was able to purchase tickets ahead online, so it was less of a hassle. Being our first day, we were almost always lost. It helped that we had some time in between museums so my anxiety was kept in check. While we were wandering around with a permanent look of semi-confusion and a map in hand, a nice lady came up to us and asked if she can help. She pointed us to where we wanted to go and reminded us to enjoy King's Day. 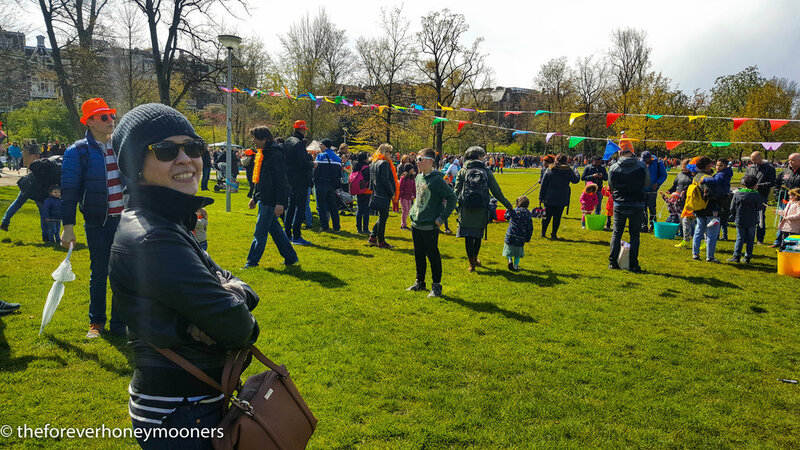 :) We were also able to enjoy the activities, watching live performances and dancing in Vondelpark where we stopped for lunch. The revelry started early and worked it's way well into the night. Day 2: Most of the day was spent in the Jewish Quarter. The ticket to the Jewish Cultural Quarter (15 euros) gives you access to the Jewish Historical Museum, the Portuguese Synagogue, The National Holocaust Memorial, and the JHM Children's Museum. You can have access to the these four places within one month from the purchase of the ticket. We spent almost the whole day in this place. Having a healthy interest in the history of World War 2, this place was overwhelming. This visit made me acutely aware of how different our beliefs are yet we are somehow the same. It reminded me of how basic the need is to be able to express our faith and how equally important that we accept and respect that others might have different faiths. Day 3: Walking was the call of the day. We joined the Sandeman Free Walking Tour, and we couldn't have picked a better group. These "free" walking tours are, in reality, not totally free but you get to decide how much you think is the acceptable tip given your tour experience. I like this set-up better as the tours are mostly led by locals who know urban legends and the quirks of the city. They also give you reliable tips of where to get authentic anything. :) These tours are very enjoyable, just know that you will be walking for around three hours. That said, wear your most comfortable, weather-proof shoes. 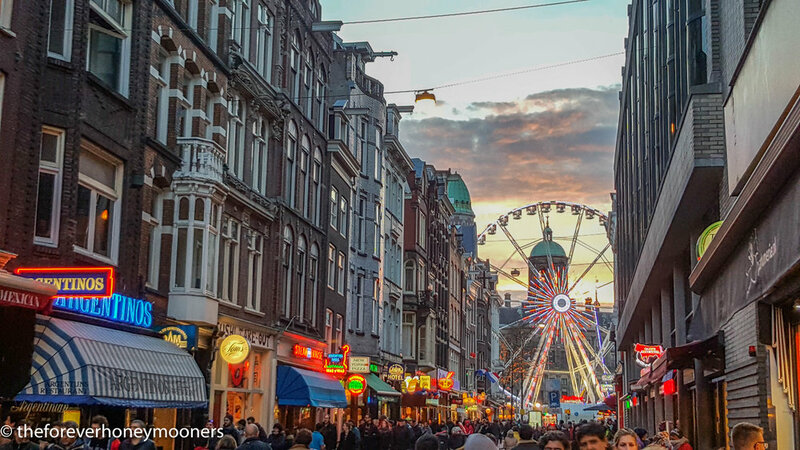 This is especially true in Amsterdam where you can experience the four seasons in one hour. Kendra, our tour guide, is hilarious. Her humor is just had the right amount of sarcasm for my taste. After the walking tour, we finally decided to endure the queue for Anne Frank House (9.50 euros). We stood in line for a little more than hour. The best thing to do to avoid standing in the cold for more than an hour is to buy tickets online. Online tickets sold per day are limited though, so you have to purchase way in advance. 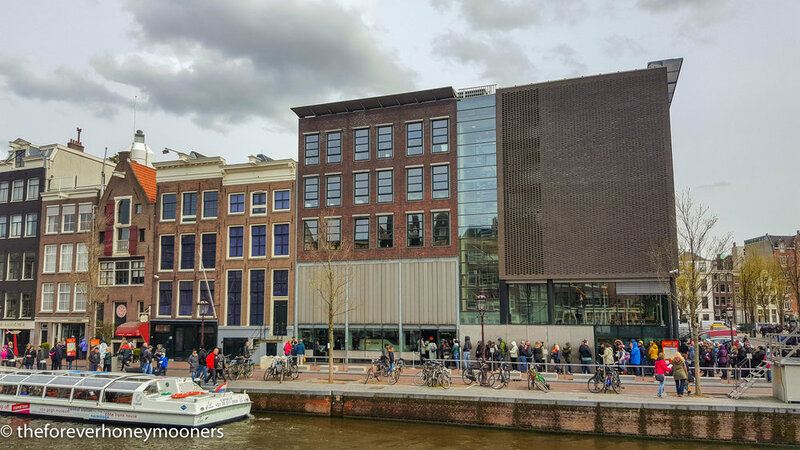 Three weeks to travel date and the tickets to the Anne Frank House were sold out. But the visit was so worth it. I have read her diary a few times over, and I still remain in awe at how she was able to hold on to her enthusiasm for life despite cruelty around her. She kept her optimism, her spirit, and youth even when her childhood was stolen. If you have read her diary, this place is a great way to turn the imagined cramped spaces and whispered conversations come to life. If not, the Jewish Quarter gives a more comprehensive story of the Jews in Netherlands during the holocaust. 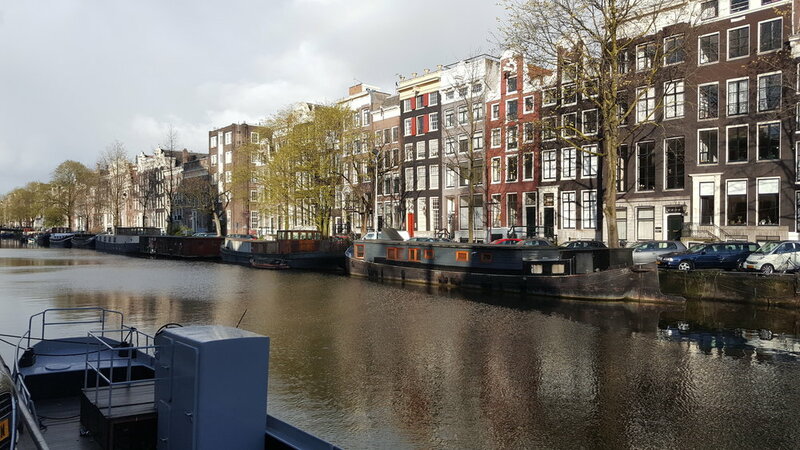 What is visit to Amsterdam without a canal boat tour?! It was touristy, but of course we had to try it. Before calling it a day, around sunset, we went on boat for a canal tour. 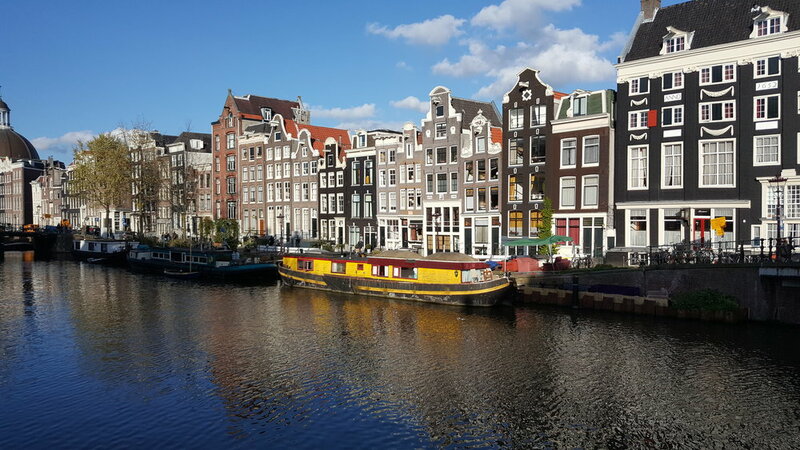 Seeing the city from a boat as it lazily snakes along the canals is not to be missed. It gives you a different vantage point and may take you to areas you might have missed. Travel tips: 1) Book museum visits online. This will save you time and misery. 2) Just choose a handful of museums to visit. Don't attempt to visit each and every one. You will end up tired, cranky, and likely not remember as much as you wanted. 3) Comfortable shoes. Please. Remember, you will likely be walking on cobblestones, so wrong shoes = OUCH. 4) Always bring a small umbrella. You will never know when it will rain or hail on you. 5) Coffee shop doesn't always mean they sell JUST coffee. 6) Should you but the IAmsterdam card? I didn't. But that is up to you. To get value for money, you have to at least go to most of the major museums and some museums I wanted to go to like the Anne Frank House and the Rijksmuseum (only 2 euro discount) is not included in the card. 7) Not all museums are really museums. Some are just shops telling you a story and hoping to get a sale in the end (i.e. tulip museums, beer museums, etc). 8) Join a walking tour.